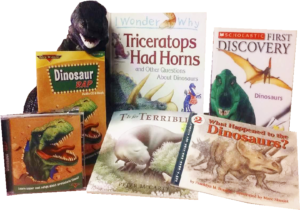 The Children’s Department circulates theme kits on a wide variety of subjects to teachers and home educators. These kits were prepared for kindergarten through second grade students, but can be adapted for use with older or younger students. The kits contain quality children’s books and other topic-related materials, such as CDs, puppets, posters, DVDs, activity guides and other realia to enhance the classroom experience. The materials are for supervised use by the teacher with the students. THE TEACHER WHO CHECKS OUT THE KIT IS RESPONSIBLE FOR THE RETURN OF ALL ITEMS IN GOOD REPAIR. LOST OR DAMAGED ITEMS WILL BE CHARGED TO THE TEACHER. A list of all items in a kit is in a pocket on the inside of the kit lid. If you are a teacher at a public or private school in the Massillon City or Fairless Local systems, you may have the kits delivered to your school and picked up by Library personnel. Pick up and delivery days by Library personnel are FRIDAYS ONLY. Home educators and teachers in other districts must pick up and return kits to the Children’s Department of the Massillon Public Library. Kits may be checked out for a maximum of 6 weeks with NO RENEWAL. OVERDUE FINES ARE $0.05 PER DAY. To request theme kits, contact the Children’s Department at 330-832-5037. You must have an active Teacher Card to borrow theme kits.